The Steel Sustainability Champion programme seeks to encourage other steel companies to increase their efforts, set higher standards and demonstrate a strong commitment to sustainable development and the circular economy. First stage completed! Now it is time for the jury to select the 30 best teams for the 2nd step based on criteria such as creativity, technicality, sustainability aspect and execution of ideas. Results expected on April 10! Thomas Dieudonne, PhD, a research engineer at ArcelorMittal Global R&D will present a paper at the 4th International Conference on Medium and High Manganese Steel conference. The conference will be held in Aachen (Germany) from 1 to 3 April 2019. The presentation will examine the influence of chemical composition on the hydrogen embrittlement (HE) susceptibility of TWIP steels. What a future for metallurgy! From 8 to 12 April 2019, ArcelorMittal will be represented at the ‘What a future for metallurgy!’ seminar organised by the French Metallurgy Network. 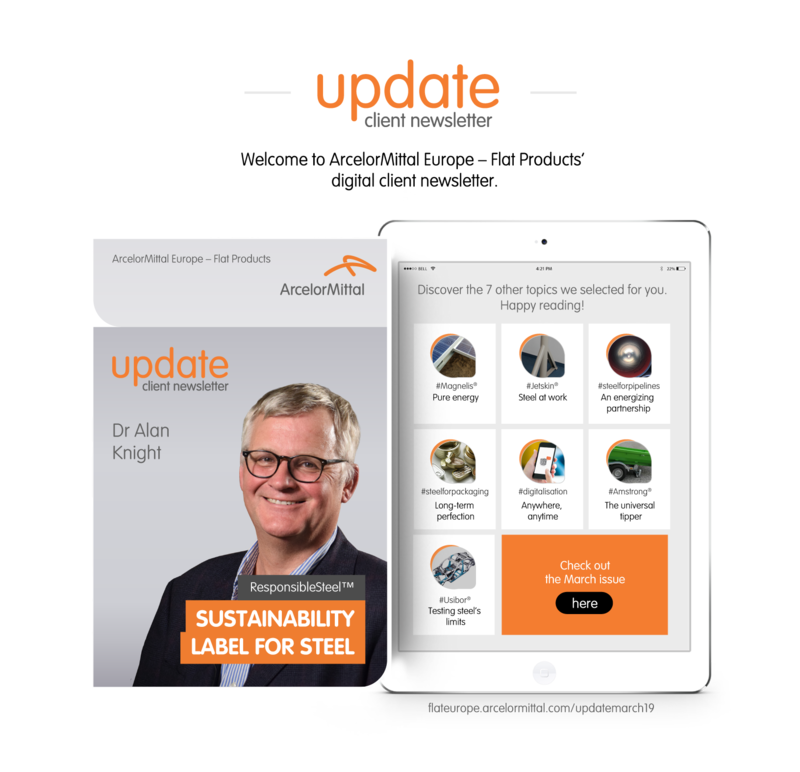 In partnership with PV Magazine, ArcelorMittal and Forming AG will hold a webinar on the most recent innovations to increase the durability of solar structures with the latest generation of metallic coated steels. The webinar will take place on Tuesday 2 April 2019 from 15:00 – 16:00.